A Reno Christmas tree lot with great customer service and an abundance of holiday spirit. It was the day after Thanksgiving and after a whirlwind of a trip to see family in California, it was time to start decorating for my favorite time of year, Christmas. Luckily, my mom bestowed upon me roughly five or six huge boxes of Christmas decorations she no longer needed, but after all of the decorations were up we were still short one very important piece of Christmas cheer; the tree. Last year was the first year my husband and I had ever put up a real tree. We did it because our usual artificial tree was still stuck overseas (in fact, that same tree is still in storage overseas), and rather than buy another, we decided to go au naturale with decor and opted for the real thing. At the time, we were living in Arlington, VA, so we packed up my son and traveled to the Christmas tree farms on the outskirts of the Shenandoah Valley and hunted for a little tree to cut down and bring home. We found a relatively small 5’5″ tree and after some obligatory photos, went to work with a handsaw. That tiny trunk must has been infused with titanium as it took my husband, who is no slouch, at least 15 minutes to saw through it. I gave it a go and literally couldn’t budge the saw. After that fiasco, we decided precut was the way to go. Sorry Clark Griswold but you can have your wilderness adventure; we’re going to a Reno Christmas tree lot this year. 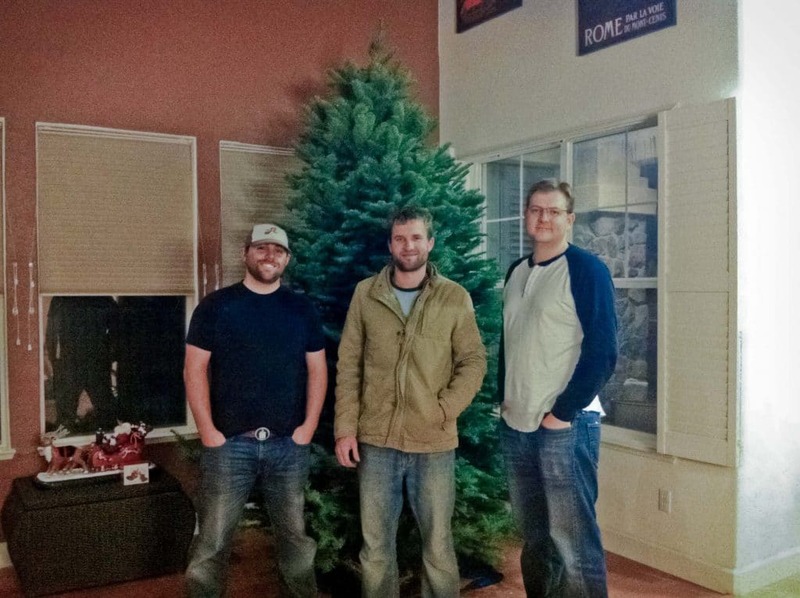 Reno offers a decent selection of pre-cut Christmas trees; the key is to know where to go. Of course, you have your usual fare of grocery and hardware stores (even Costco was offering some pretty attractive Noble firs), but buying here can sometimes be a bit of a gamble, mainly because you don’t know how long ago the tree was cut (and how quickly it can dry out and die). The dry Nevada climate can wreak havoc on the life of your tree. Armed with that knowledge, I wanted to find a tree lot that cut the trees themselves and knew more about them other than their place of origin. We saw a few lots and almost stopped at one, but the trees looked rather sad. So we serendipitously continued to the corner of Virginia Street and Kietzke Lane, were we found Noble Christmas Trees. At first glance, the lot didn’t look too fancy. The guys were just unloading a new crop of trees as we came the first day they were open. However, with trees as beautiful as the ones at this location, a fancy store front was unnecessary. The trees were lush, full, and the needles were supple to the touch, a good sign for prospective buyers – never buy a tree that has needles that break in half in your hands!. Most importantly, for us, they had a huge variety of sizes. We have a large space for the tree with 25′ ceilings, so I needed one that wasn’t dwarfed in my living room. I found my beauty, a 10.5′ Noble Fir, that was trimmed during its life cycle to be as full and classically pine-shapped as possible. I also learned that all trees from Noble Christmas Trees are high altitude trees, grown in Oregon so they hold up and last longer in the dry Nevada climate. My tree, in particular, was roughly 12 years-old and cut about 1 ½ weeks ago. It was $100 and, if I liked, for an extra $20, they could deliver it directly to my house and assist with set up. Um, heck yeah! 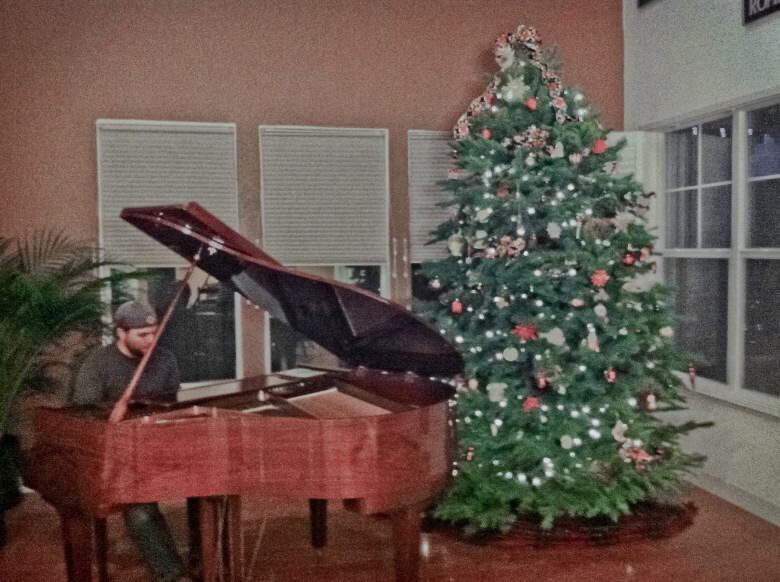 My tree was delivered that night and true to their word, Noble Christmas Trees helped set it up in my stand, cutting away parts to make sure it stood straight. They also fresh cut the tree. This means they cut about ¼ inch off the base. When the trees are cut down, they seal the base to help prevent water leakage. Also, it just rained the night before their crop was cut for harvest, so this one was loaded with water to ensure it’s holiday season survival. Tip: You want to make sure you cut off this sealed section of trunk before you place your tree in the stand or else it will not soak water properly and will dry out. My tree is now over a week old and looks amazing. I have vacuumed around it once to pick up the minuscule amount of needles on the ground. 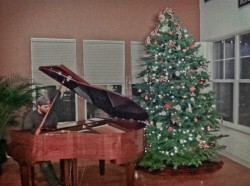 I am extraordinarily happy we went with Noble Christmas Trees here in Reno, Nevada. 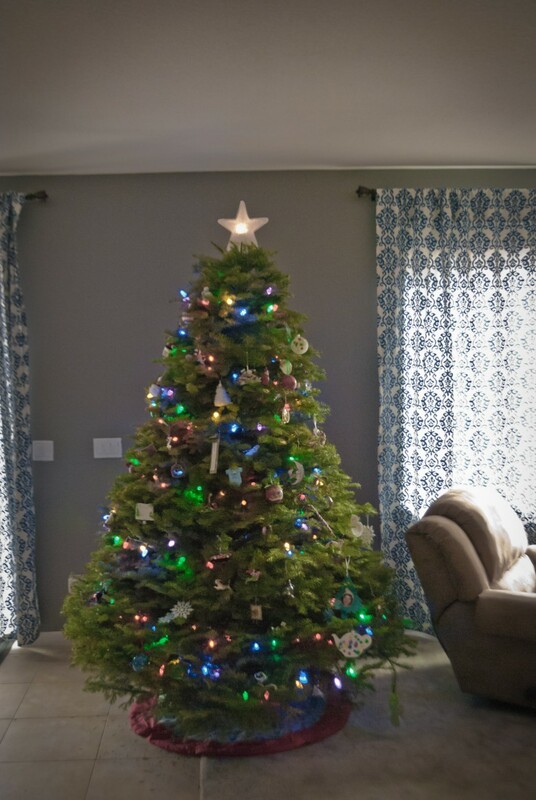 My husband and I were planning on buying a large artificial tree next year for the living room, but Noble Christmas Trees may have just turned us into real tree lifers. Fortunately, we can order in advance to get that 15′ tree my husband wants next year. I just hope the Noble Christmas Trees staff will be there to help set up when it happens!